This week we continue our focus on healthy DIY skin care products. Last week we started creating our very own homemade spa and made lemon sugar scrub, lavender bath salts, and beeswax candles. 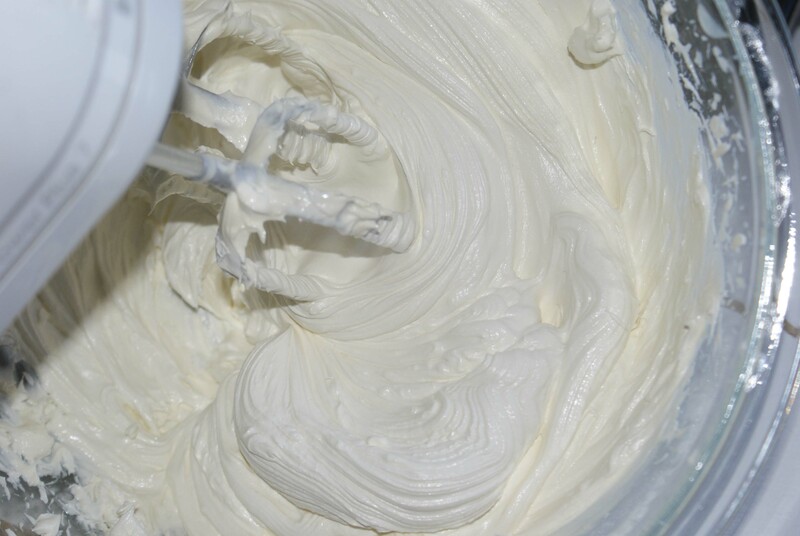 This week we’re making shaving cream, deodorant, body lotion, and a delicious-smelling pumpkin pie facial scrub. Yum! By the time we’re done, we’ll have our very own DIY skin care spa collection. Before we jump into this week’s DIY instructions, let’s talk a little about why creating these natural, healthy products is so important. Many chemicals are used in commercially manufactured personal care items. Skin care product manufacturers have about 7000 different ingredients they’re allowed to use in skin care products, with around 1000 known to be harmful and another 900 known to cause cancer. Some of the more common toxic ingredients in skin care and cosmetics are listed here. The skin is our largest organ, and up to 60% of what we put onto our skin soaks through the layers of the skin and enters the bloodstream. Now on to the fun of making more personal care items in the comfort and safety of our kitchen. To make shaving cream, you need coconut butter, olive oil, and shea butter. Start by melting the shea butter and coconut oil on low heat. If you like, you can add a few drops of essential oil. We added tea tree oil. 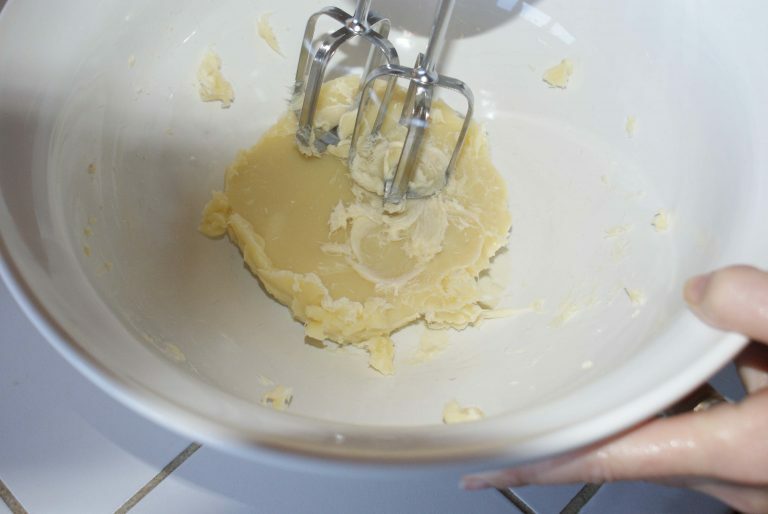 Then put the mixture in the refrigerator and let it harden. 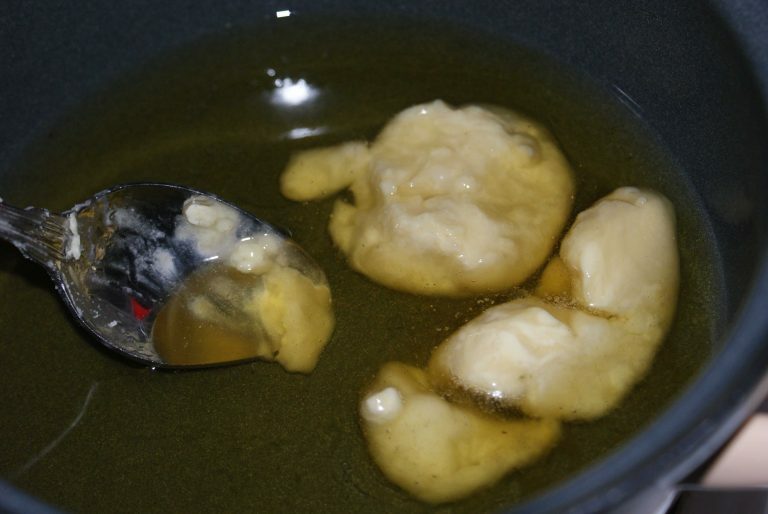 Once it’s solid, take it out of the refrigerator an put it in a bowl and and start whipping it. Whip it until it’s light and creamy. Store it in an airtight container in a cool, dark area. 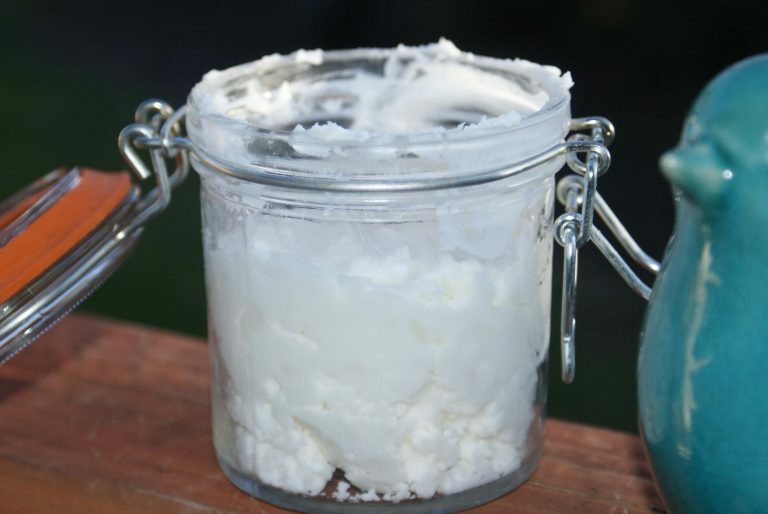 Deodorant is very easy to make. You’ll need coconut oil, baking soda, arrowroot powder, and cornstarch. Just mix them in a bowl. 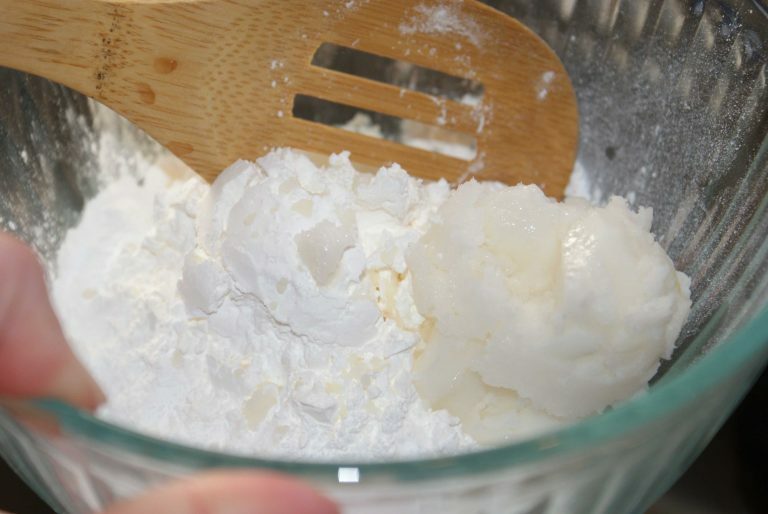 Add more coconut oil or baking soda until you have your desired consistency. Store your deodorant in an airtight jar. 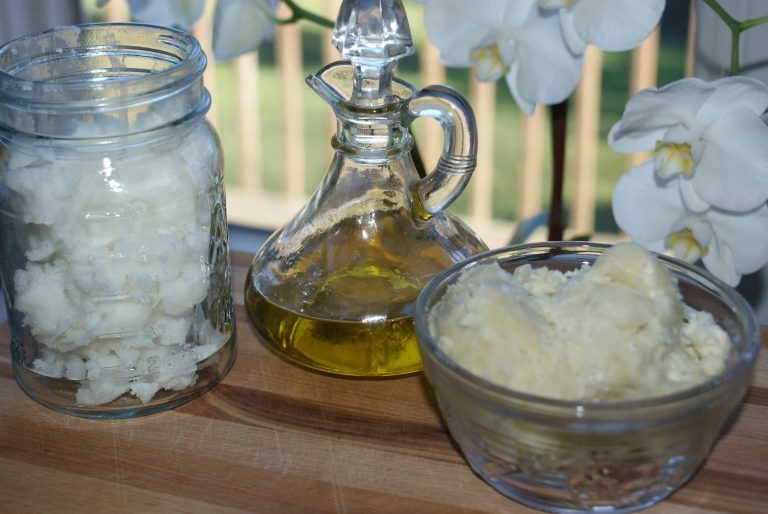 To make body lotion, you’ll need olive oil, coconut oil, and beeswax. You can customize this recipe by adding your favorite essential oil to give your lotion your favorite scent. Some ideas are rosewater and almond oil, or lavender and vanilla oil. Get creative and experiment to come up with your own unique, trademark scent. Combine these ingredients in a pint or larger glass jar. Fill a medium saucepan with a couple inches of water and place over medium heat. Put a lid loosely on the jar and place it in the pan with the water. 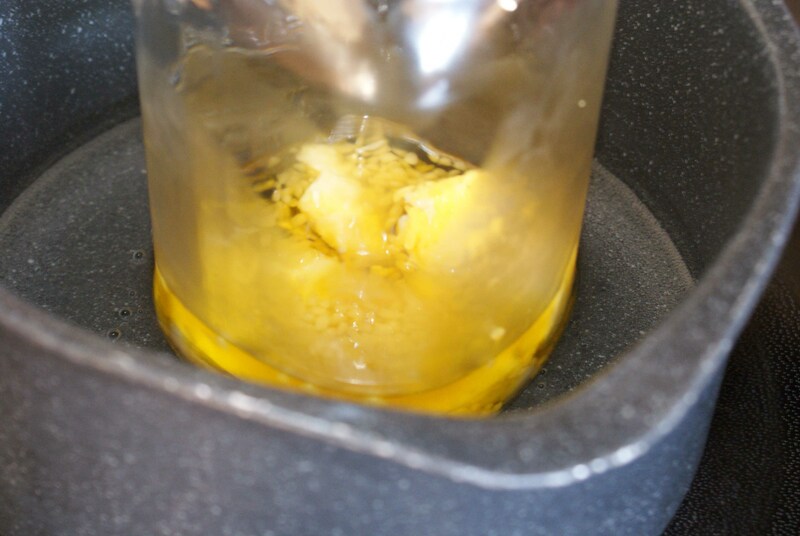 Shake or stir the the jar as the ingredients start to melt. 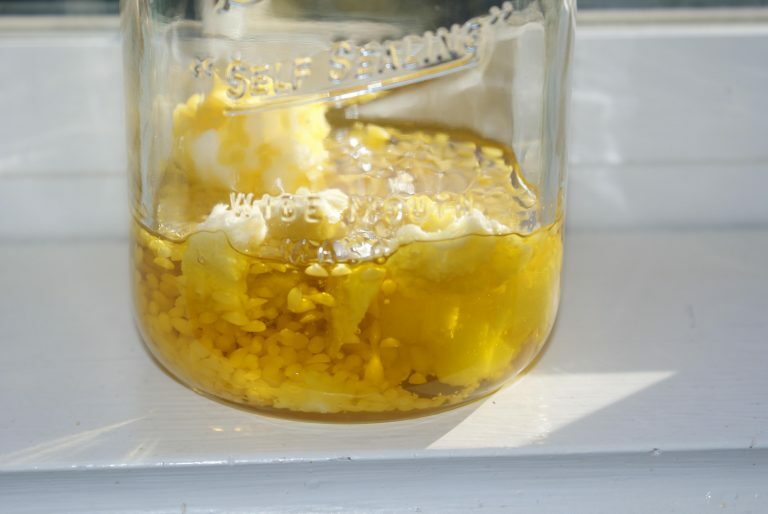 When all ingredients are completely melted, pour into whatever jar you will use for storage. The nice thing about this recipe is that it has a longer shelf life than some homemade lotion recipes since all the ingredients are already shelf stable. This scrub smells delicious! 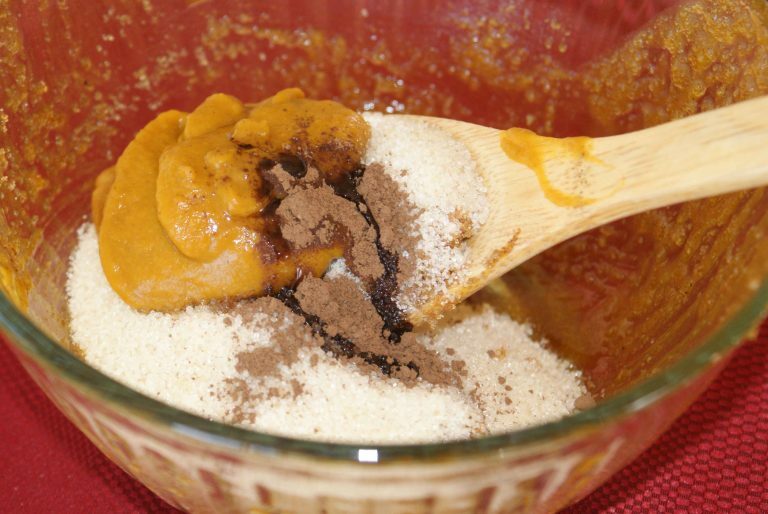 To make it you need white and brown sugar, pumpkin puree, pumpkin pie spice, and vitamin E oil. Put all the ingredients in a bowl and blend. It’s that easy! 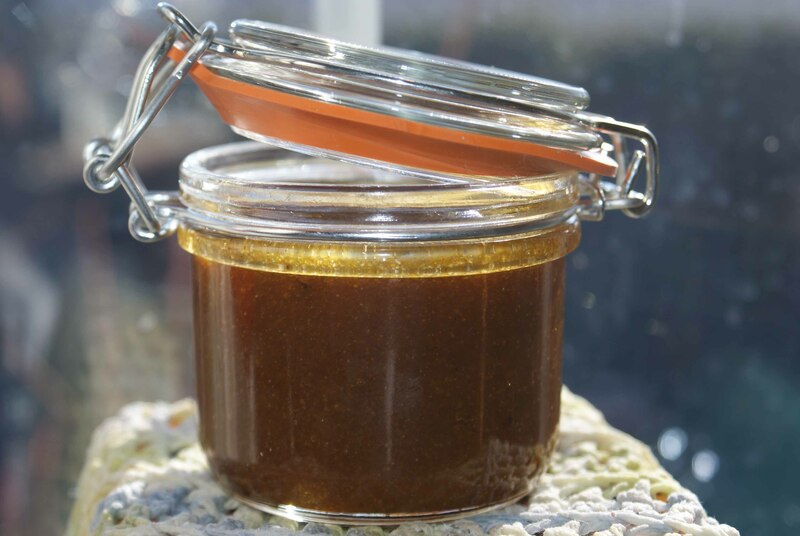 When you’re finished, place the scrub in a jar for storage, and store it in your refrigerator. 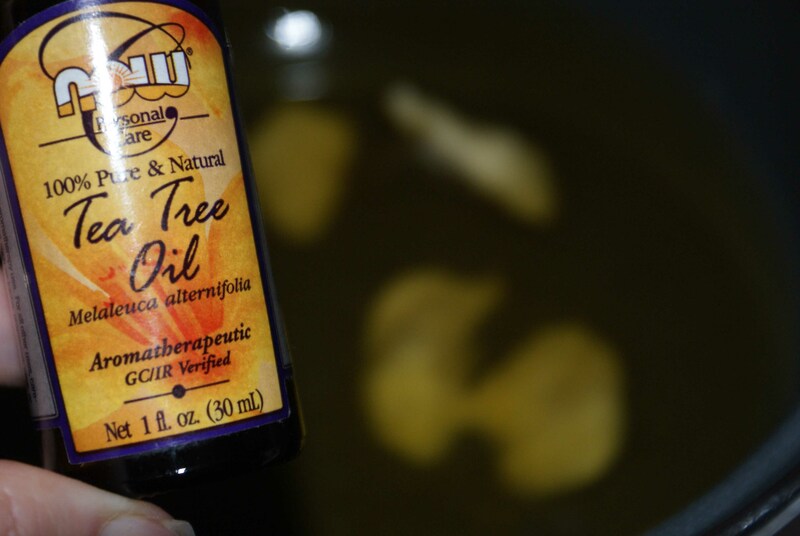 To use, apply a small amount to a clean face and massage it into your skin. Let it sit on your face for a few minutes, and then wipe it off with a warm washcloth. There you have it! 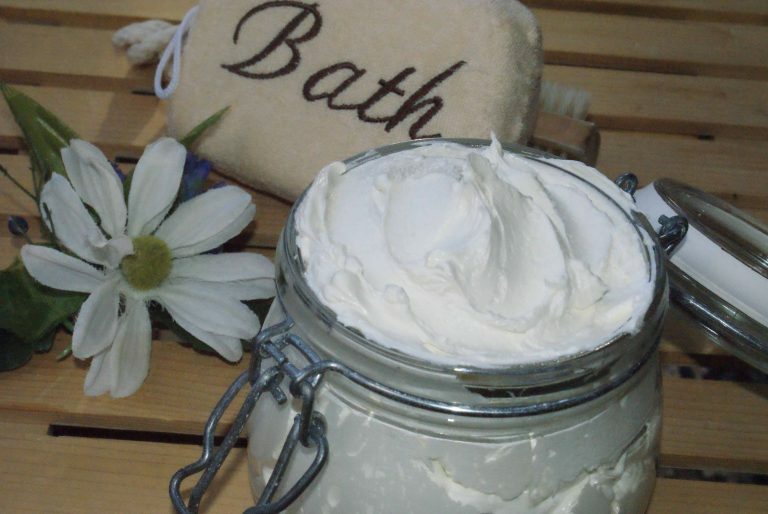 Your very own homemade spa kit! Starting on the left, we have homemade shaving cream, pumpkin pie spice facial scrub, lotion, and deodorant. 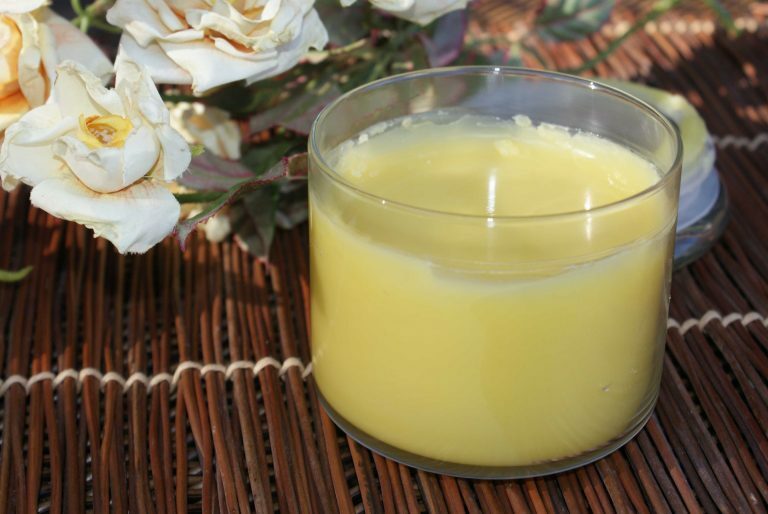 Combine these items with the lavender bath salts, lemon sugar scrub, and beeswax candles we made last week, you really have everything you need for healthy, safe personal care. Your skin and your health will thank you! Once you’ve made your personal care products, you’ll want to take good care of them. Remember, they don’t have the toxic chemical preservatives included in the stuff you buy off the shelf in your favorite store. 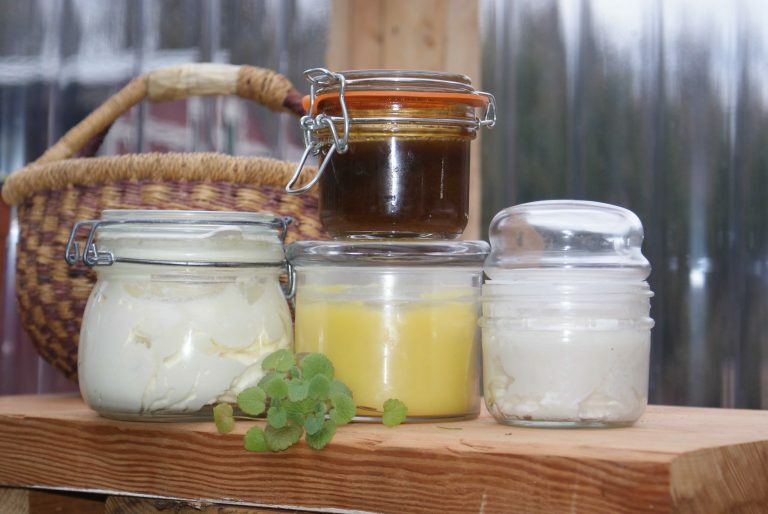 It may take a little time to switch from commercial skin care products to making your own. Here are some tips to help you get started. When purchasing commercial skin care products you purchase it can be difficult to know what toxic ingredients they contain. The Environmental Working Group has a Skin Deep online database where you can check the safety of over 69,000 personal care products. And there’s an iPhone app you can use to scan the bar code of a product before you purchase it, and receive a rating of the product across three toxicity categories.